Glenmore Park, Sydney’s booming Western Suburb, has experienced significant residential growth in recent times. With land excavation, recent wet and humid weather and the close proximity to the Nepean river and other wetlands, Glenmore Park remains a suitable environment for spiders. An increase in reported cases has also been apparent. Warm weather ushers in a rise in Sydney’s spider population. The heat and humidity provide ideal breeding conditions for these insects. More than just supporting survival, it encourages growth. Spiders are a reality of life in Sydney and the whole of Australia. Truth is, a great majority of them are far from dangerous. It is mostly people’s fears that perpetuate this myth. 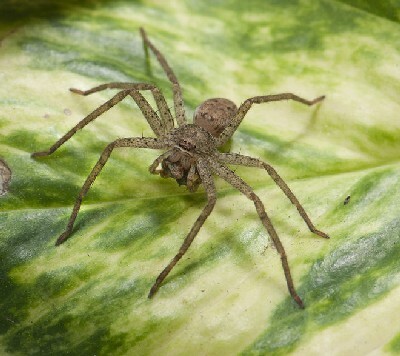 Practicing precautionary measures will keep you, your family and property safe from spiders. Common sense would tell you not to touch or tease spiders. Teach this to young children and remind them every now and then. You should also cover vents and weepholes with mesh, attach flyscreens to windows and repair cracks and crevices in your home or office. Make sure to switch lights off at night, as these would attract insects, which in turn, will attract spiders. In addition, refrain from leaving clothes and shoes outdoors when it is nighttime, Always remember to wear appropriate clothing like gloves and boots when working in the garden or yard as well. As professional pest controllers, we perform a meticulous inspection in and around your property. We search all the places they would likely inhabit such as corners of windows, behind curtains, in ceiling voids, and gutter lines. We also look into your gardens, patios as well as outdoor furniture and decor. For your protection, we inform you about possible entry points. What makes us different from other businesses is that we skip the use of chemicals. Based on experience, we have found that using spider web sprays and other chemical barrier-style treatments may be ineffective in the long run, as well as harmful to your health. While all spiders are venomous, a majority of species are actually harmless to people. Still, Sydney his home to quite a few spiders that can cause some damage to animals and humans through their bites. Wrap a bandage around the bitten area and the surrounding limb and apply pressure to it. It is also advisable to restrict movement further by applying a splint. Put an ice pack on the area that was bitten to lessen the pain. Just stay still and avoid moving around too much. For this species, symptoms are actually quite similar to that of a funnel-web. Simply wrap a bandage around the bite site and the surrounding limb while applying enough pressure to immobilise the area. Apply a splint to restrict movement even more. For some people, bites may cause burning pain, swelling and itchiness. Blistering has also been reported in certain occasions. If symptoms persist, consult a medical practitioner. In a few cases, skin lesions and necrotising arachnidism have been reported. Seek medical attention immediately if symptoms persist. Harmless enough to humans, expect mild local pain, numbness and swelling from a bite. Nausea and dizziness might occur in rare cases. If symptoms persist, get treated immediately by a doctor. Who are Masters Pest Control Sydney? Owned and operated by industry experts, Masters Pest Control Sydney is a leading name in pest extermination. Glenmore Park residents have made us their number one choice for spider management and removal. At our company, we make your health and safety our top priority. With this in mind, we ensure that all our methods, treatments and products are child, animal and environment-friendly. We provide warranty on all work in Glenmore Park and nearby suburbs. Need an expert to solve your Spider Issues? Contact us now and schedule a visit. For best results, call us right away so we can get started. The sooner we get to the root of the infestation, the faster and easier it’s going to be for extermination. Dial 02 8007 4666 to speak with an expert or fill out our form on the website so we can call you and answer your questions. Call us (02) 8007 4666 for Spider Services Glenmore Park!